...the Founder, especially today, the anniversary of his death, October 31st. 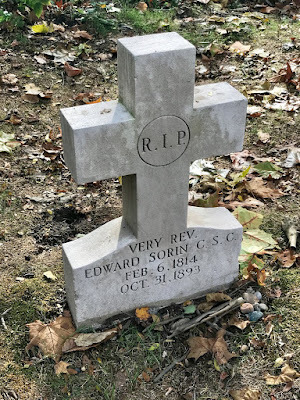 Buried in the Holy Cross community cemetery, located on the north side of St. Mary's Lake, Fr. Sorin's grave is front and center of all others. Even though Fr. Sorin did not want this, it is only fitting, for without him, none of this would be! Fr. Sorin, we are in your debt in so many ways. Requiescat in pace!